James Bush, from the December 1988 issue. Michael Cox review of Mudhoney’s Superfuzz Bigmuff, from the November 1988 issue. From the June 1990 issue. From the November 1988 issue. Mudhoney’s Steve Turner, as told to James Bush in the December 1988 issue. Nirvana’s Dave Grohl, as told to Dawn Anderson in the March 1991 issue. Best band: Soundgarden; Best single: My Eye, “Empty Box/So Much Going On;” Best Local Album: Green River, Dry As a Bone; Best new band: Coffin Break; Best vocalist: Chris Cornell, Soundgarden; Best Dressed: Landrew, Malfunkshun/Lords of the Wasteland. Her third fanzine, following a first version of Backfire and Backlash. She jokingly asked me if, for her next zine, I could think of another name with word “back” in it. 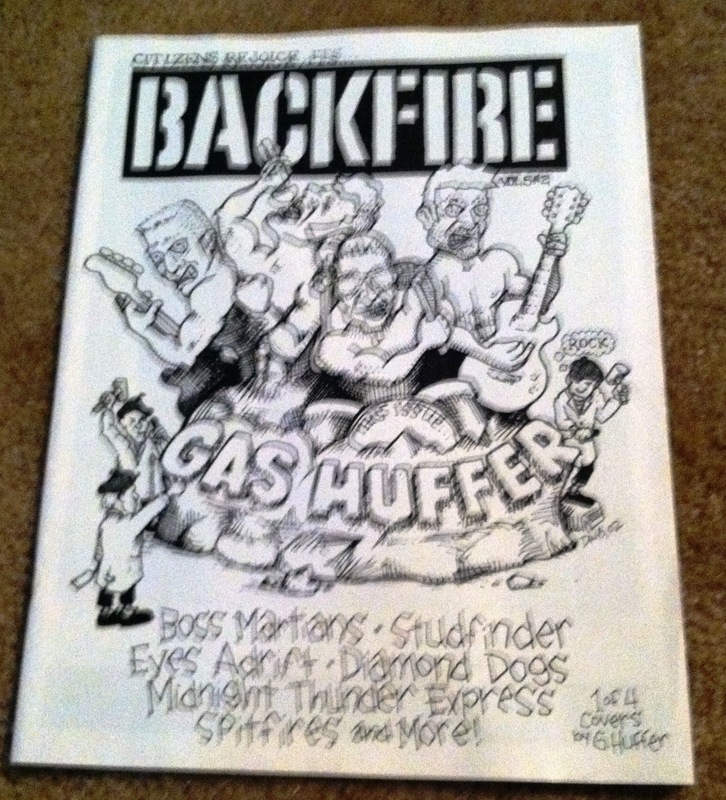 In any event, this 2002 issue features the artwork of Gas Huffer. A zine critical to Seattle’s music community from 1987 through 1991. Note the top left cover features the Young Fresh Fellows–not a grunge band. In fact, two of the four bands shown are not grunge bands…and this was the heydey of grunge in Seattle. My point…?